The Disney Dream stopped to rescue two people from a small boat in the Bahamas earlier this week. On the afternoon of Wednesday, January 16, the Dream received a distress signal from a small boat carrying two United States citizens. The captain used the intercom to alert the cruise line passengers of the incident. The Dream's passengers were able to watch the rescue from deck. Crew members from the Dream used a small boat to get to the stalled vessel, and brought the two people back onboard with them. One of the passengers who watched the rescue, Orlando attorney Dan Tressler II, said, "It was obvious that the boat was in trouble, sitting dead in the water. Some speculated that it had run out of gas. It was apparent that there were no major medical issues." He said when the crew got back onboard, the passengers "reacted with a roar of approval, clapping their hands for several minutes." 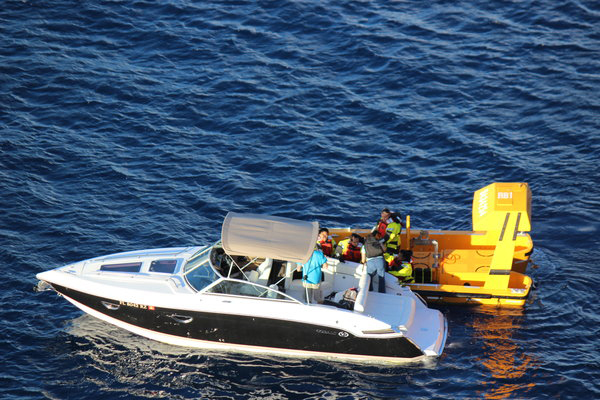 He was able to take photos and provided this photo of the rescue to the Orlando Sentinel (the crew of the Disney Dream is in yellow). The rescued pair stayed aboard the Disney Dream while it returned to Port Canveral as scheduled on Thursday, January 17. A statement from Disney Cruise Line said, "We are proud of our Disney Dream crew members, who skillfully demonstrated their training and commitment to maritime protocols around saving lives at sea." Two new Caribbean ports have been added. Disney Cruise Line took top honors in several categories. Results are part of the World's Best Awards 2014. Sail dates for the remainder of 2015 have been announced. 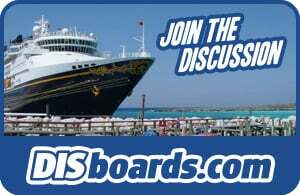 Disney Wonder to return to Hawaii in 2015? Itineraries aren't released yet, but a suspicious entry on the Hawaii port calendars is fueling the rumors.